If you ask someone how they like their coffee, the most likely answer they’ll give you is that they like it strong. But what makes a coffee strong? Well, it doesn’t refer to how much caffeine it has or how bitter it is. It’s the rich, bold, flavourful taste that a cup of coffee provides. If you feel that this is something you’re missing in your daily cup of joe, then follow these steps on how to make a strong coffee. How long you roast your coffee will affect the strength of the cup. A dark roast coffee will create a much stronger cup than a lighter roast. This is because the longer the bean is roasted, the more flavour that is extracted. Although dark roasts have a stronger flavour, they actually contain less caffeine. Want even stronger? Op for an espresso roast. Though not the biggest factor in the strength of coffee, the type of bean you use is important. In general, coffee is either made from Arabica or Robusta beans. Though Robusta has more caffeine and a more bitter taste than Arabica, the Arabica bean is much higher quality in taste. Thus, we recommend using Arabica beans for home-brew coffee. Try our Gold Espresso coffee made from 100% Arabica beans to get a much richer and smoother coffee. As with most foods, the fresher it is, the better the quality and taste it will have. The same thing goes for coffee beans. Fresh coffee beans will have a much stronger and enjoyable flavour than those that are older. To keep your beans fresh, it is important to properly store them in an airtight container and in a dark, dry room. 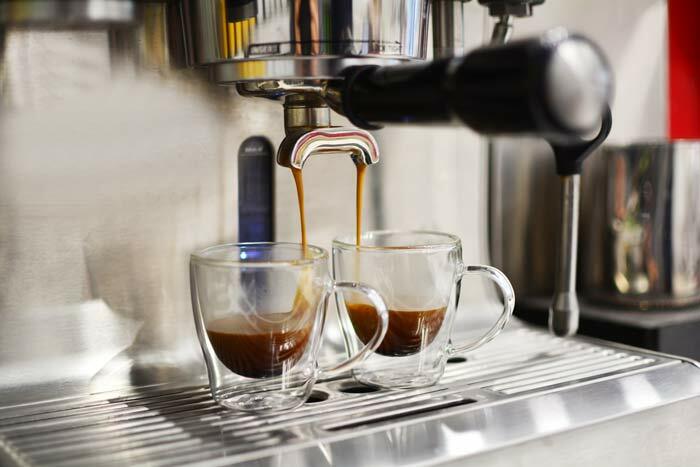 We also recommend using all your coffee within one to two weeks of opening to maintain its rich flavour. Read more about how to store your coffee here. Don’t you know that the grind never stops? Well, your coffee grind shouldn’t stop either. 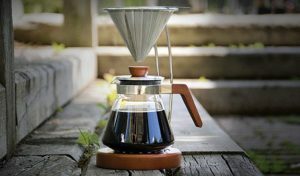 To ensure your coffee gives you a strong kick each morning, try grinding your coffee beans just as you’re about to brew. Going in hand with using fresh beans, the longer you wait after grinding the beans, the more flavour it will lose. Therefore, grind at the last minute. The finer the grind, the stronger the flavour will be. However, this doesn’t always work for brewing methods like using a French Press, which can’t catch fine pieces. Always make sure to grind as much as the method allows. To find out what the best type of coffee grinder is, read about it here. One key factor for how to make a strong coffee is the ratio. For a real boost to your morning, try a 2:6 coffee to water ratio (that’s 2 tbsp for 6 fl oz/170 mL). This is the general ratio for a strong coffee. However, if this isn’t strong enough to your liking, you can up the ratio to 2.5:6. On the other hand, if 2:6 is too strong for you, try 1.5:6 and gradually work your way up. There isn’t just one way on how to make a strong coffee. Everyone likes their cup of joe differently. Therefore, it’s important that you experiment with your brewing process until you find out how to make the best cup for yourself. We gave you our tips, but feel free to change it up to your liking. Roast your coffee for longer, use a stronger ratio, try a different brewing method, it’s up to you. So, as you can see, the strength of a cup of coffee is up to your personal preference. Check out the fresh coffee beans that we have on our website and try out different flavours until you find one which is best for you. Also, let us know your favourite way of brewing a strong cup of coffee in the comments down below! Also, if you like strong coffee, you’ll love our Black Eye Recipe.